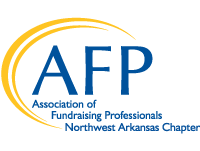 The Northwest Arkansas Chapter of the Association of Fundraising Professionals (AFP NWA) offers members the opportunity to connect with colleagues, engage in creative thinking, network with new friends and achieve great results in their work. We focus on delivering educational programs and events to help you reach your goals. AFP NWA is your link to professional networking and programs for advanced executives, mid-career professionals, and those new to the field. We also offer opportunities for volunteering, sponsor special events like National Philanthropy Day Luncheon, and much more. Help make AFP NWA work for you! Contact us to learn more! Beginning with the May meeting registration, our local chapter has started using the PayPal portal for payment processing. 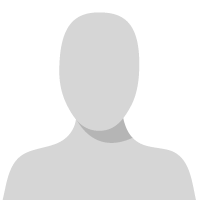 Members should not need to create an account to pay. We are currently experiencing a technical glitch with this and are working to correct it. As a result of a thorough and deliberate process, AFP Global has decided that a $30 dues increase is needed, the increase will only apply to the categories of Professional and Associate members, for the first time in 10 years, effective, July 1, 2019.